The Pascagoula, MS office of Compton Engineering is located in the heart of Jackson County. It is strategically located for fast response to customers. 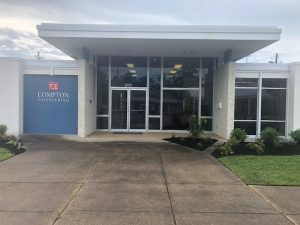 Over forty years after opening this office in Jackson County, Compton Engineering is one of the largest engineering firm on the Mississippi Gulf Coast and in the State of Mississippi, as recognized by the American Council of Engineering Companies of Mississippi.